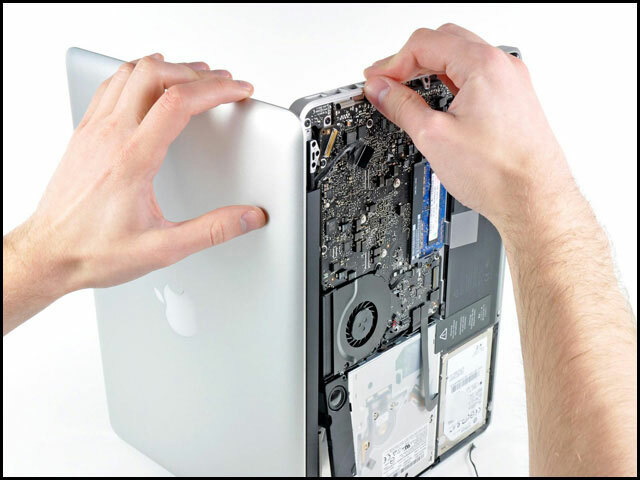 Tech Studio should be your first choice for Mac repair in the greater Los Angeles area. Our friendly staff is trained to handle any kind of Apple issue, and with our convenient drop off service, your computer will be back in service quickly. When your Macintosh isn't working properly, you need answers fast. Tech Studio Mac and PC Repair is open 6 days a week for your convenience. If you call or email our team of computer repair experts, you'll get straight answers right away. Apple computers are famous for their usefulness and reliability. That means that they stay in service longer than other brands. 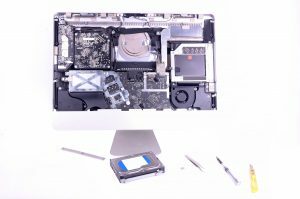 Once your Mac computer is out of warranty, it can be difficult to find affordable repairs. Tech Studio can help. All of our staff have many years of experience in computer repairs and upgrades. We've worked on every version of every model that Apple has put out over the years. If you have a reliable desktop or laptop computer, there's no reason to buy a new one simply because you need a performance upgrade. If your Mac could benefit from a system upgrade, Tech Studio Mac and PC is the answer. We offer hardware upgrades, like swapping out your existing hard drive for a solid state drive. We take care of more than just the hardware, too. When we upgrade your existing drive for a blazing fast SSD, we'll also reinstall your OS and transfer your data and programs to your new drive. You'll enjoy all the benefits of a brand new computer at a fraction of the cost. Tech Studio is located at 12417 Woodgreen Street in Mar Vista. It's easy to come by and visit our friendly shop no matter where you live in the Los Angeles area. You'll love all the free, off-street parking we have at our new location. We want to make it easy for you to get your computer repair done right, and done fast. We'll even come to you for in-home service if you prefer. Tech Studio is the easiest, most affordable way to keep your Mac or PC computer working at top efficiency. Our courteous staff will explain your problem and the suggested repair in plain language instead of confusing tech jargon. Call or email Tech Studio Mac and PC Repair and get straight, no-nonsense answers to your questions. We service desktops, laptops, notebooks, and other handheld devices like iPhones (no screen repairs). We work on computers for home or business. We're your one-stop-shop for computer repairs in the greater Los Angeles area. Call us today! Mac Diagnostics: $39 flat rate, does not apply toward repair. Mac Data recovery: $32.25 diagnostic plus $129 per hour billed in 15-minute increments. In-store tech work for Apple/Mac: Quick fixes start at $32.25! $129 per hour with a 15-minute minimum. In-Home or Business Mac Computer Services: $129 per hour with a 1-hour minimum. Mac Lquid Spill Repairs: $129 per hour with a 1-hour minimum plus parts. Power & DC Jack Repairs: $129 flat rate which includes tax. Inquire about different pricing for Magsafe Board fixes on Macbook Pros.